Accreditation ratings for La Plata County’s school districts were released recently. Recently released evaluations from the state outlined the shortfalls and strengths of the three La Plata County school districts. How students perform on state and college entrance tests, graduation rates and other factors are used to determine a district’s accreditation rating. Consistently low ratings can result in a takeover by the state, a shift to management by a charter school or closure. Durango School District 9-R and the Bayfield School District were rated accredited with low participation. This is the second-highest rating possible. The Ignacio School District was rated accredited with improvement plan, one step below accredited. These accreditations are based on test scores from the 2015-16 year. Ignacio’s rating is a victory, coming after an effort begun in 2010 to improve test scores and get off the state’s accountability clock, a status that can eventually lead to sanctions. Administrators from all the districts said efforts are underway to help students who struggle to perform at their grade level and to ensure teachers reach students at all skill levels, not just the average student. In Durango, the administration was pleased that all of the schools performed well. Previously, Florida Mesa Elementary was on an improvement plan. “We do consider it to be something we are really proud of,” Superintendent Dan Snowberger said. Snowberger attributed the district’s success in part to districtwide tests that help teachers track student learning and a focus on helping students who are behind learn more than a single year of material. In Bayfield, the elementary school moved from improvement plan status to accredited. “They are now in the green through a lot of hard work,” said Amy Lyons, the school’s director of finance. The elementary school started interventions for struggling students last year, and it ramped up efforts this year, said Karen Rodberg, director of instructional services. As part of the new program “What I Need,” students are grouped based on ability for 60-minute periods. Generation Schools Network from Denver, a nonprofit that works with public schools, is helping the school develop curricula that will reach students at multiple levels this year. A state grant paid for the service. The Bayfield Middle School was given an improvement plan status this year because test scores showed students are not keeping up with their peers across the state in English, math or science. To help middle school students struggling in math, the school requires those who are two grade levels or more behind in math to take two math classes, Rodberg said. Across the Bayfield district, staff members are developing curricula to ensure gifted students and those who are struggling stay engaged, Rodberg said. This year, the district started using Galileo tests because they pose questions in a similar manner to those asked on the state’s PARCC tests, which stands for Partnership for Assessment of Readiness for College and Career. In addition, at the beginning of next school year, all staff members will go through depth and complexity training to help teachers guide class discussions. “It’s all done by guided and thoughtful, open-ended questioning,” she said. The state took note of Durango and Bayfield’s low participation in PARCC assessments. The state defines low participation as fewer than 95 percent taking two or more content areas on the test. 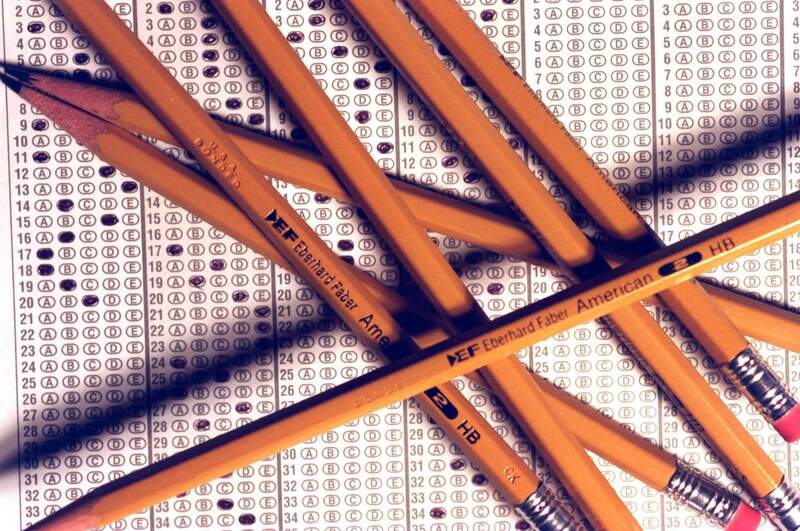 Schools can lose points for low participation in the PARCC tests. In the Durango district, those schools that were penalized had strong enough data to overcome the penalty, Snowberger said. The Durango 9-R administration tries to educate parents about the importance of testing because students can’t opt out of tests in college, he said. “For us to think that testing of standards is not an important step for students to demonstrate what they know is certainly concerning to me,” Snowberger said. The Bayfield district puts an emphasis on educating the whole child, Lyons said. Ignacio district administration would like to see the same strong growth on the upcoming PARCC tests this March that they saw last year, said Kathy Pokorney, curriculum and assessment director. “Definitely we are seeing a culture change to really an emphasis on academic rigor, not only with our teachers but also with our students and our parents,” she said. The latest accreditation rating put the elementary and high school on an improvement plan. The district would like to see both those schools move up a level. This school year, the high school changed its schedule so students will have yearlong classes, and Pokorney expects this will help boost scores on the PARCC and SAT. With semester-long courses, some subjects such as math tended not to be as fresh in their minds, when it came time to test in spring. In addition, the district is making sure that curricula is aligned between grade levels, she said. mshinn@durangoherald.comThis story has been updated to correct the definition of low participation in the state tests.